Highlights of this book were selected for inclusion in the program of the 2005, Paris, 'Albert Einstein Century International Conference.' The paper is published in the Conference Proceedings by the American Institute of Physics. In his theory of Brownian motion, Einstein has made a monumental contribution to thermodynamics. Specifically, he has introduced, in that important branch of physics, the rate of change of the particle momentum, associated with thermal motion, to study the diffusion of suspended particles in liquids. 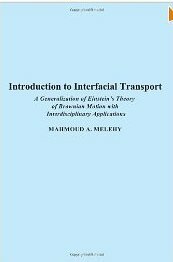 In this book, it is shown that Einstein's procedure is justified, not only for this particular problem, but for interfacial systems generally. The consequent, new thermodynamic theory has unified the theory of semiconductor diodes and solar cells. Theoretical voltage-current characteristics have accurately corroborated experimental data reported by some 27 authors, over a period exceeding a quarter century. The present theory has, additionally, led to a novel result: the first and second laws of thermodynamics collectively require that electric charges reside at most surfaces, membranes, phase boundaries, and other interfaces. This general conclusion is the first confirmation of Newton's speculation that capillarity and other interfacial phenomena involve electric forces. The thermodynamic prediction of interfacial electrification has explained numerous phenomena of interdisciplinary interest, such as: surface tension, capillarity, drop coalescence, adhesion of light particles to surfaces, the observed separation of charges upon phase change, fog and cloud suspension, and the origin of atmospheric electricity. How much had been heretofore known, for example, about atmospheric electricity was described in 1988, in Scientific American, by E. R. Williams, who wrote: "Lightning is one of the commonest and most spectacular of natural phenomena, and in the two centuries since Benjamin Franklin demonstrated that a lightning bolt is a giant electrical discharge, lightning and thunderstorms have been the subject of numerous scientific investigations. Yet, in spite of a barrage of new equipment and investigative techniques, lightning's exact origins and the mechanism by which rain clouds are electrified remain elusive." 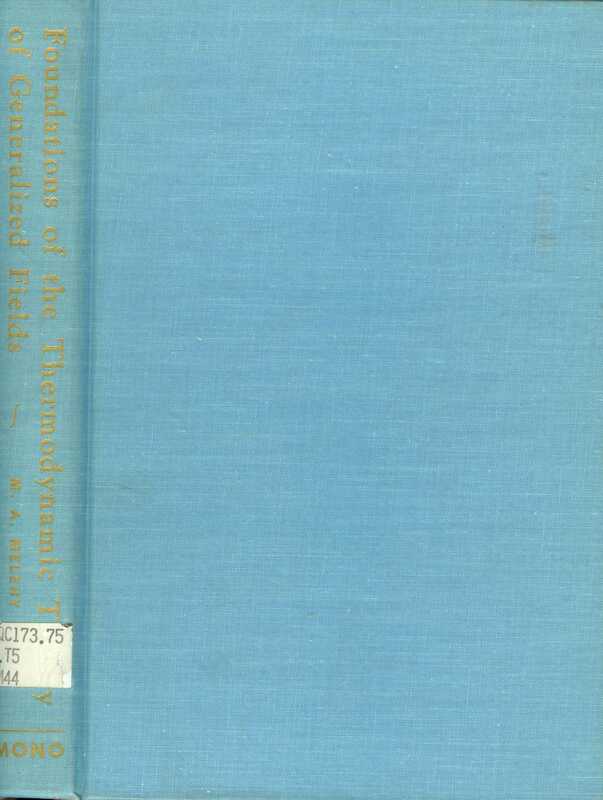 In this book, Melehy has given a general formulation of the thermodynamics of stationary processes which is very significant. The basic idea is this: For a long time now, there has existed a simple and powerful theory for a very limited class of stationary physical processes. I refer to electrical network theory. In electrical network theory, currents and voltages are described by the two Kirchhoff?s laws. Kirchhoff?s current law asserts that the sum of the currents in a node is zero, while Kirchhoff?s voltage law prescribes that the voltage summed over any closed loop is zero. These laws yield a set of linear equations if the currents are assumed to be linear functions, of the voltages, that is, if Ohm's law is assumed to hold. However, even in a nonlinear problem, an appropriate application of Kirchhoff?s laws completely defines the solutions. In general thermodynamic processes on the other hand we have the coordinated flow of molecules, atoms, ions, electrons, heat and radiation. This flow, caused by electrical and gravity fields and/or by pressure and temperature differences, may be accompanied by phase changes and chemical reactions. Melehy shows that there exists a natural generalization of Kirchhoff?s laws, which completely describes all stationary thermodynamic processes. This generalization is Melehy's theory of generalized fields. Kirchhoff?s current law follows simply from the law of conservation of charge: In a node, charge cannot just disappear. It is obvious that this current law can be generalized. It then stands for conservation of mass, energy, and charge. Kirchhoff?s voltage law can be generalized by considering the work done by the electrical, gravitational and pressure forces on a specific flow component (say one kind of molecule, atom or ion) which goes around a closed loop. This approach provides one equation for every type of particle for every loop one can devise. Melehy's laws thereby completely specify all possible solutions with given boundary conditions. How is it possible that this general mathematical description of such a large class of physical and chemical phenomena has escaped us for so long? The reason may be that Melehy's formulation requires two new artifacts which are not immediately obvious, although they are quite natural once understood: For the pressure P in analogy to the voltage in an electric network, it is not suitable to take the external pressure as indicated on a manometer. Instead, the pressure Pj of a component j has to be defined as the transfer of momentum, by the particles of j through I cm2/sec. So, for instance, the pressure in a homogeneous liquid is much higher than its equilibrium vapor pressure. This definition of Pj does describe the osmotic pressure of a solute in a liquid. The second artifact that Melehy's theory needs is to describe the increase of heat )Q in a volume element as )Q = T )S. In this way T becomes a generalized potential for entropy S as voltage is for charge: v )e, gravitational potential is for mass: hg )m, and Pj is for volume: Pj )V. At first sight this may seem positively wrong: We know that if, for instance, in a certain volume element of the low process low pressure helium and hydrogen gases mix by diffusion, there is an increase of entropy, but there is no increase in heat as a consequence. In fact, these two innovations in Melehy's formulation are quite natural if one considers how one can arrive at a proof of his laws in analogy with a proof of Kirchhoff?s voltage law. For a proof of Kirchhoff?s law, let us consider in an electric network a specific resistance r1, carrying a current i1, and consequently with a voltage difference v1 = i1 r1. Let us now replace this component on paper with an imaginary component consisting of two elements in series. One element is a small resistance arl, while the second is a battery with emf v = i1 r1 (1 -"). This imaginary component, carrying the same current il, also has the same associated voltage v, as the real one. In the same way we now replace all resistors rj in the network by imaginary components arj in series with batteries with emfs of i1r1 ( I -"). In this resulting imaginary network, all currents and voltages are identical with those in the real one. For " �� 0, the imaginary network becomes a reversible process, consisting only of the charging of batteries. No heat is developed, and conservation of energy now demands that Kirchhoff's voltage law holds. Analogously, if we wish to prove Melehy's law for a general thermodynamic process, we can consider the flow of a specific component in a small part of space. We replace this element for the major part (I - ") by the analogy of the battery, that is, a reversible heat engine. We do the same for all parts of the process. Then for " �� 0, conservation of energy gives us Melehy's law for generalized fields. Now )Q = T)S begins to make sense, even in the case of mixing hydrogen and helium. The imaginary )Q in the real irreversible flow process reflects the real )Q which is trans- formed into work in the imaginary reversible process. It has been thought that Melehy's theory of generalized fields is just another formulation of what is known as "irreversible thermodynamics." This is incorrect, because the essence of the latter is Onsager's theorem. This theorem says that if in a stationary flow pattern the equations are linear, that then the impedance matrix must be symmetric. But already in a simple example, an electrical network, the resistors are heated up by the currents, making the currents nonlinear with the voltages. In Melehy's formulation this nonlinear situation is completely taken care of, because the heat production yields additional equations for the heat flow which have to be satisfied. The discussion given above of Melehy's law requires both the first and second law of thermodynamics. Conversely one can say that the statement of the theory of generalized fields in its quantitative form is an independent statement of the foundation of thermodynamics which implies the first and second law, but is more detailed. Melehy also makes an effort to draw the third law of thermodynamics in his formulation. He does this by considering a flow process in a four dimensional abstract space in which the fourth dimension is the absolute temperature T. The content of the third law can now be incorporated by the statement that in a flow pattern in this space, for that part of the flow that is at absolute zero, )Q must be zero. Whether this will lead to new results for thermodynamics near absolute zero is too early to judge. Melehy is a professor of electrical engineering at the University of Connecticut. A large part of the book's applications of the theory of generalized fields is on current- voltage characteristics of semiconductor diodes. The difficulty here lies in knowing the accompanying space charge distribution. One method of calculating these curves has been to calculate first the space charge for zero current, and then to hope that this distribution will not change too much when currents are drawn. In the book Melehy calculates many curves with his theory, and always finds a very good correlation with existing experimental results, even over a range of ten orders of ten of current. The book also contains a calculation on the temperature dependence of the vapor pressure of mercury. The theoretical curve, with the aid of two matching points, accurately fits the experimental results over nine decades of vapor pressure values. It will be very interesting to see the theory applied in physical chemistry to batteries, fuel cells, and other stationary chemical. reactions. Also, in astrophysics and meteorology, the application of the theory to the movement of matter on a large scale seems promising. 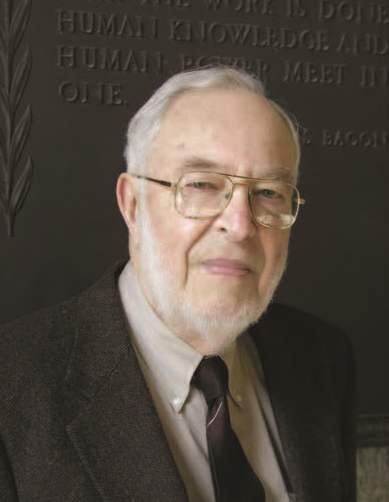 Melehy has written his book as a text book, requiring a background which may be expected of students majoring in physics and electrical engineering. His style is simple and to the point. The prerequisites are some advanced calculus, the laws of electric circuit theory and the elements of thermodynamics. The book contains short introductions to vector analysis and electricity and magnetism. It also has ample references to the literature at the end of each chapter. Problems for the students are provided. The printing of the text, mathematical formulae and figures is pleasant to the eye. However, the book is not easy. Getting to the real physical content of a new theory is always hard work. This is true for any introduction to classical mechanics, and it is also true for Melehy's introduction to the thermodynamic theory of generalized fields. The practical examples given by the author are not necessarily the ones the reader is familiar with; he will have to supplement Melehy's examples with his own. There is no easy way to understand new ideas, even when the consequences of these ideas are very practical. - Pieter J. van Heerden, American Journal of Physics, V44, N9, pp. 895-896 (Sep 1976).